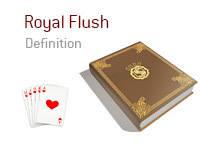 What does the term "royal flush" mean in poker? What is the definition of the term "royal flush"? 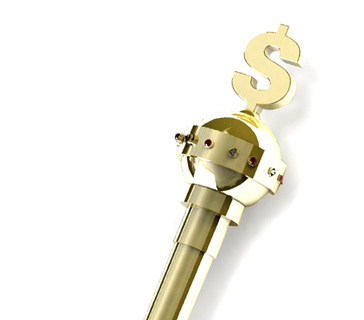 A "royal flush" occurs when a player has a hand that includes a 10, J, Q, K and A of the same suit. For instance - let's say that you are dealt Qh-Kh in a game of No Limit Hold'em. A "royal flush" is an unbeatable hand. It's better than a straight flush, it's better than Quad Aces, it's better than a full house. You have a 1 in 30,939 chance of being dealt a Royal Flush in a standard No Limit Hold'em game.